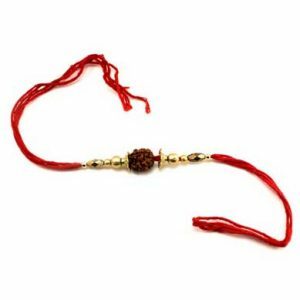 Brothers love the rakhi that their sisters tie on their wrists because it shows their love. 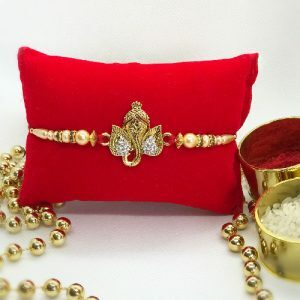 But it would be even more emotional and binding when they would find out that the rakhi that is adorning their wrist was made by their sister herself, by her bare hands. Trust us on this. It would be so touching for your brothers. 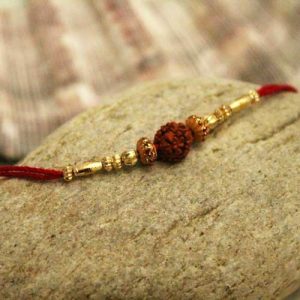 And you never know, you might receive that great rakhi gift that you had always wanted to get. Sounds interesting? 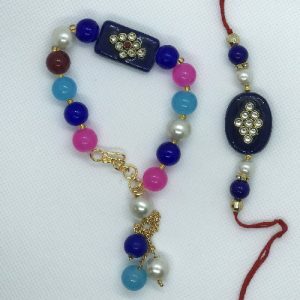 So, let’s delve into learning how to make rakhi at home. 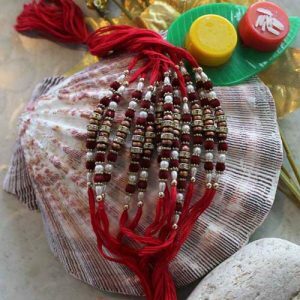 There are many different ways of making rakhi at home. But we are showing a very simple way here to get you started. It will be easy for kids as well. They can use this technique to make rakhi which they can showcase at their school for some competition etc. 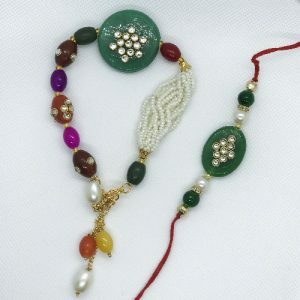 Here we will use silk threads to make Rakhi, because silk thread is considered best in Raksha Bandhan festival traditionally. Tie one end of a silk thread on the bangle and wrap it completely over the bangle. When it reaches almost quarter of the bangle, tie it at the center with a thick thread. Cut all the loops of silk thread at the periphery of the bangle. Now, flatten it from both the sides. Brush it from an old tooth brush to make it symmetric. 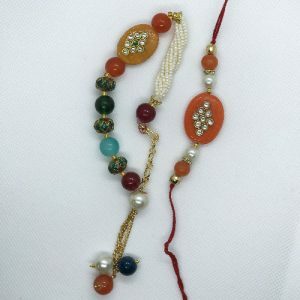 If few of threads are not in-line, you can trim your Rakhi at the periphery. 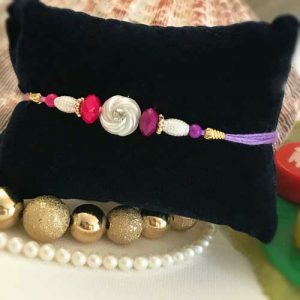 Paste a piece of satin ribbon at the back of the Rakhi. Now, decorate it with beads or some other decorative items of your choice. 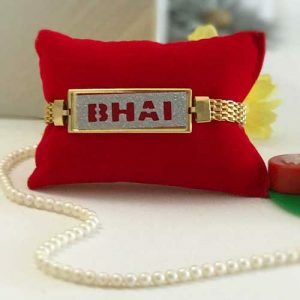 Your home made rakhi for your loving brother is ready. 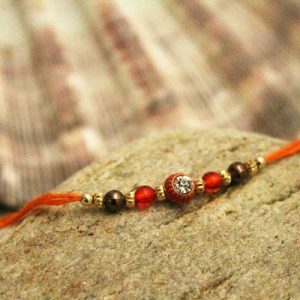 Surprise him this time and do not forget to take a really good rakhi return gift from him.